At Shevlin Smith, each case is a team effort. 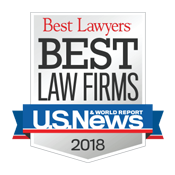 Read how our team of Northern Virginia and Washington D.C. personal injury lawyers and support staff has helped other victims of negligence. If you have been seriously injured or have lost a loved one due to no fault of your own, the road ahead may seem bleak. Medical bills may be piling up and you may be unable to work. These may be dark times, but there is a light at the end of the tunnel. You can seek justice against those who caused you harm, and Shevlin Smith is just the firm to represent your interests. 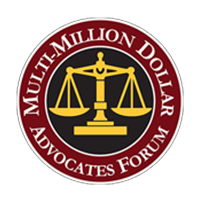 As a local, family-based law firm, serving individuals and families throughout the Fairfax area for more than three decades, we have recovered millions for our clients throughout Virginia and D.C. We know the law, we know the defense, and we know how to win. You deserve effective and caring legal representation, and the Virginia personal injury attorneys at Shevlin Smith are prepared to provide this to you and your family. 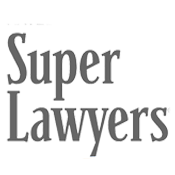 Collectively, our attorneys have over 130 years of legal experience. Our team believes that the fight isn’t over until you’re fully satisfied with the result. As seasoned trial attorneys and effective negotiators, we are capable of handling every aspect of your case. We have earned a reputation as formidable opponents, both in and out of the courtroom because – let’s face it – no insurance company wants to go to up against a firm with a trial record like ours. We have secured some of the largest settlements and verdicts in Virginia and D.C. all while providing compassionate, personalized legal services you can rely on. to Schedule a Free, No-Obligation Consultation. 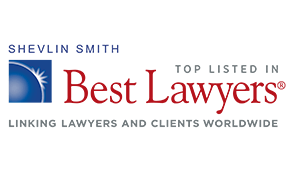 Over the past 30 years, Shevlin Smith has built a reputation as a leading personal injury firm. Our highly accredited attorneys are talented in their own right and work with the country’s leading experts in accident reconstruction, medicine, and economics to build the strongest possible case for every client we represent. We recognize that a personal injury case may be won or lost based off even the seemingly most insignificant detail, and our meticulous preparation of each case is designed to miss nothing. We believe in educating our clients on their legal rights and their options, arming them with the information they need to make the right choices about their personal injury cases. We have free downloadable books and numerous articles and blogs that offer helpful tips and in-depth information on personal injury law, the rights of the injured, and much more. Our personalized, one-on-one client service includes candid, straightforward assessments that prevent unpleasant surprises and foster a healthy client-attorney relationship, which in turn leads to a better case result. When you work with Shevlin Smith, we will be with you every step of the way.